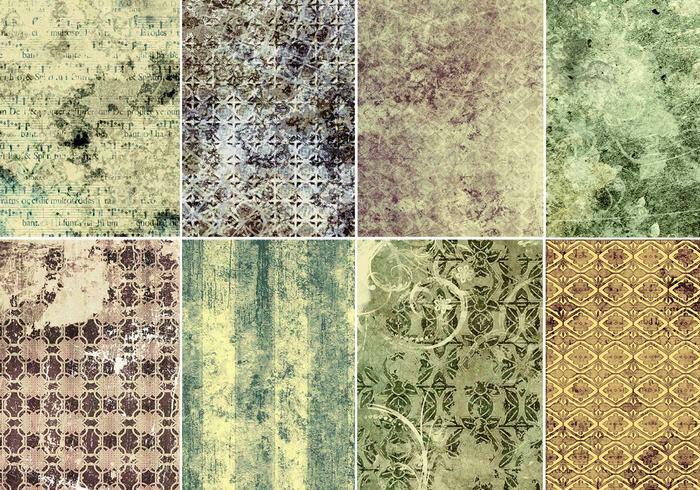 Vintage Patterned Photoshop Texture Pack - Free Photoshop Brushes at Brusheezy! Looking for beautiful high resolution textures? We've got just the pack for you! This new Vintage Patterned Photoshop Texture Pack is filled with eight unique high resolution Photoshop texture files, each with a old timey rustic look that will give your next project a nice grungy feel. Looking for more grungy textures? Check out this <a href="http://www.brusheezy.com/Textures/19893-Grungy-Summer-Textures/premium">Grungy Summer Texture Pack</a> right here on Brusheezy!